Get CBSE class 12 Maths practice paper 2017 for the coming CBSE board exam 2017. This practice paper is based on CBSE class 12 Maths sample paper 2017. Get CBSE Class 12 Maths Practice Paper 2017 prepared by CBSE experts at Jagranjosh.com. This maths paper is based on latest pattern of CBSE sample papers for class 12 maths. As per latest CBSE sample for class 12 Maths, there are 4 sections in the paper, namely A, B, C and D.
About 20% questions in CBSE maths sample paper for class 12 are considered as easy, 60% as average and rest 20% as difficult. This practice paper is based on the pattern given above. There is no overall choice in the question paper, however, internal choices have been provided in few questions of different sections. Questions 1 to 4 carry 1 mark each. 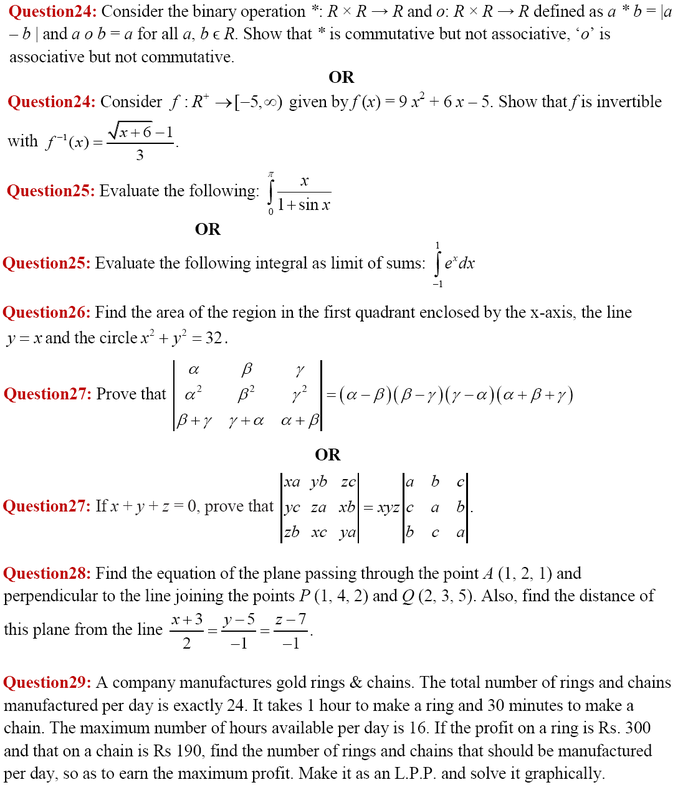 Questions 5 to 12 carry 2 marks each. 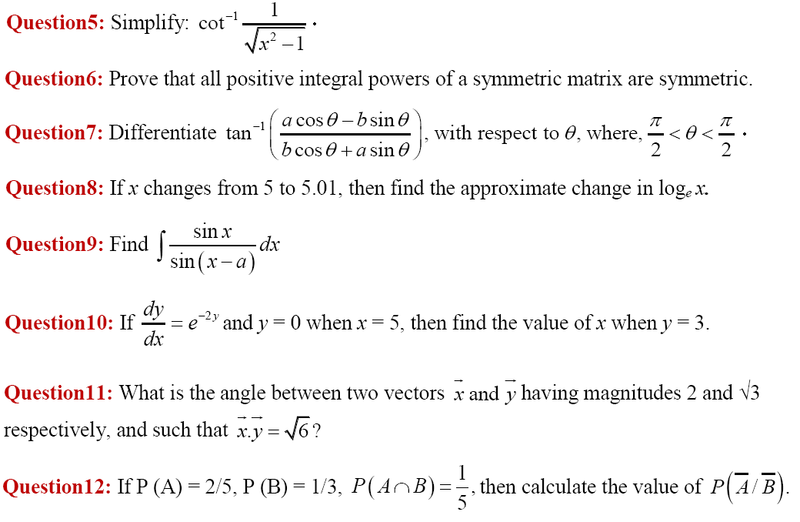 Questions 13 to 23 carry 4 marks each. 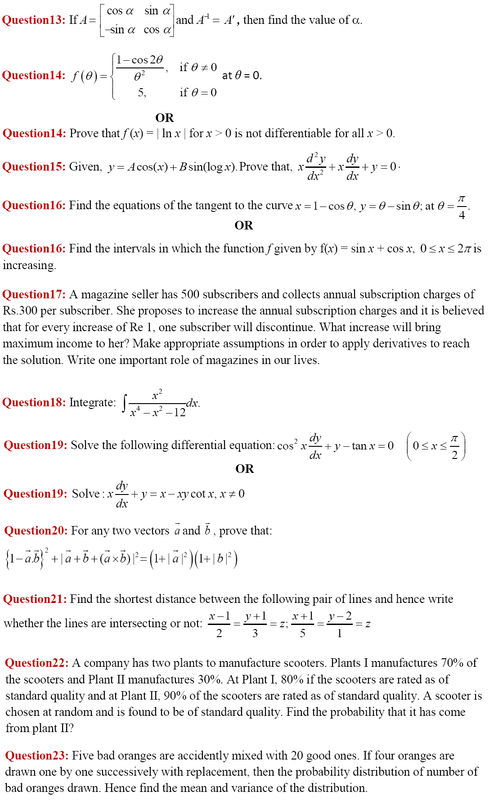 Questions 24 to 29 carry 6 marks each.